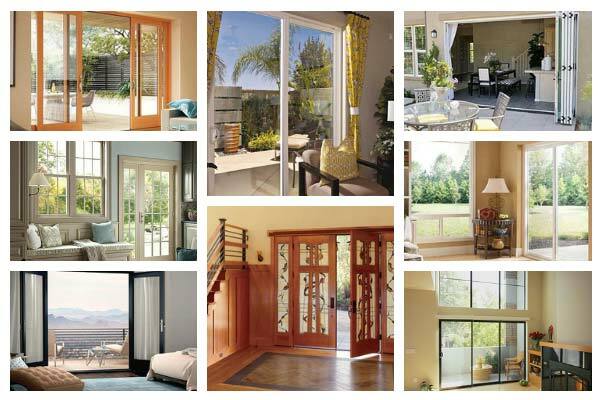 If you’re looking to enhance the beauty of your home while saving money on energy costs, Anlin’s Malibu Replacement Swinging French doors can help you to achieve both. 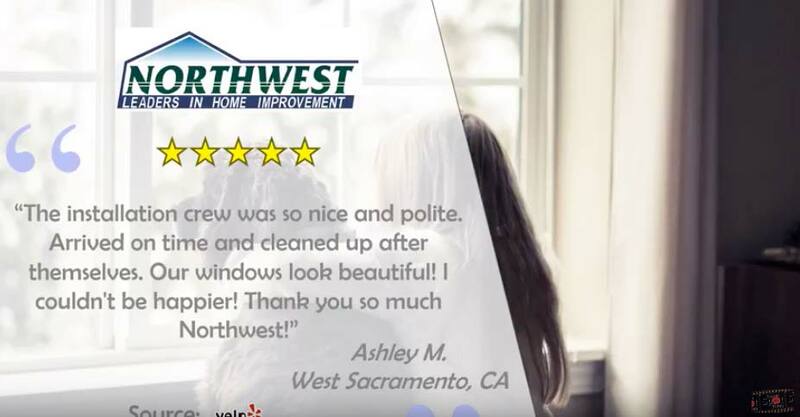 With high-quality materials and low-maintenance vinyl included as standard features, you’ll likely be more than happy with the final outcome. 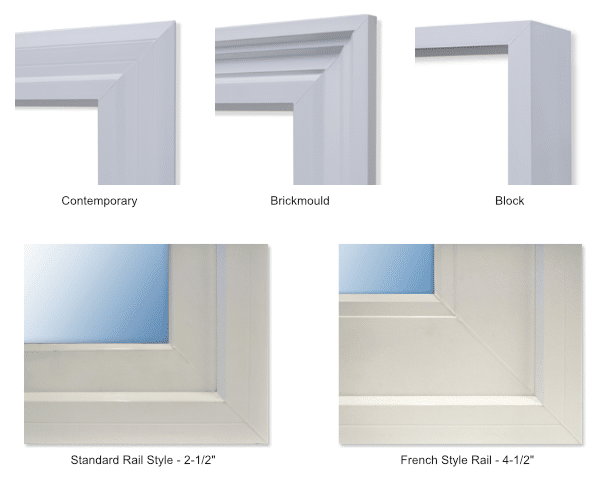 We also carry a variety of frame colors, door handles, grid styles and patterns, as well as four different choices in glass patterns. 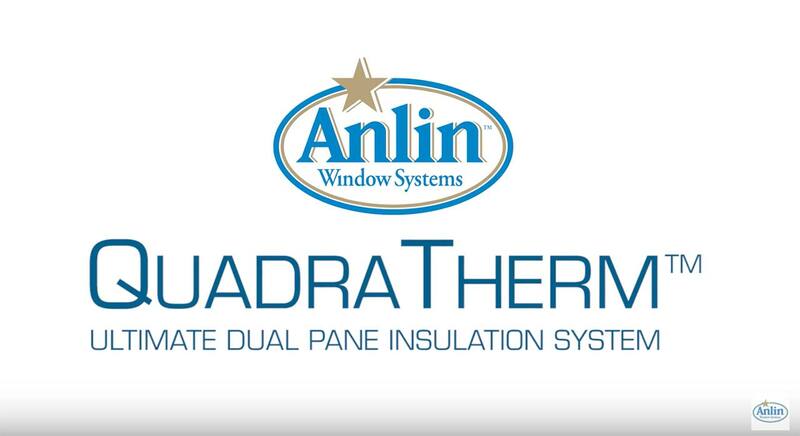 You’ll also be able to take advantage of the QuadraTherm Ultimate Dual Pane Insulation System or the Infinit-e Plus High Performance Glazing System, both of which are designed with twenty-first century technologies in order to save energy and money. The Anlin Tri-mechanism lock system is made from stainless steel, plus adding a dead-bolt lock system for a nearly impenetrable setup. 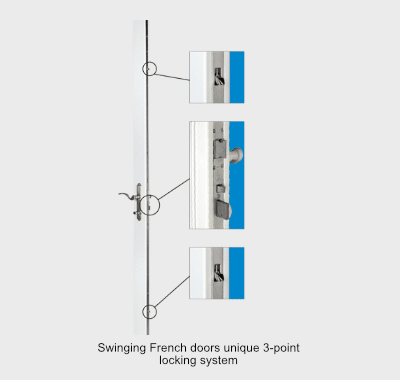 The keyed lock activates three solid metal posts, one each at the top, middle and bottom of door, while a dead bolt adds yet another level of security. 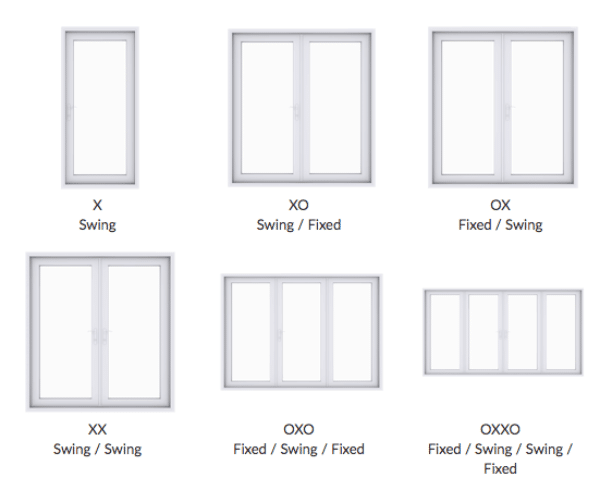 All swing doors can be in-swing or out-swing as an option. 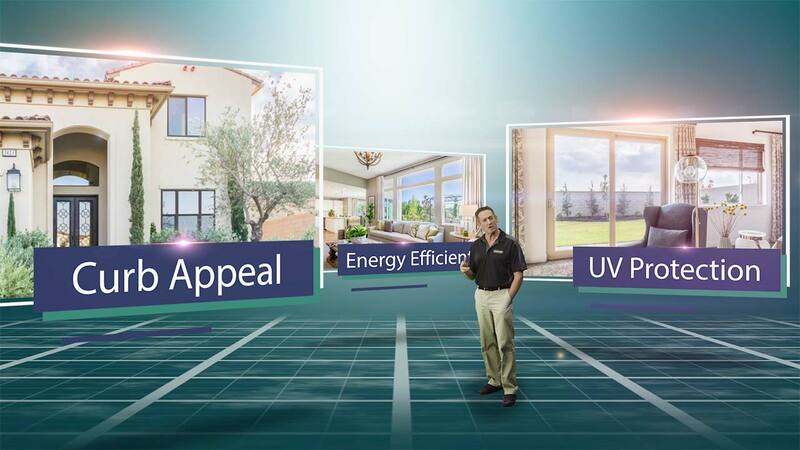 Sidelights can be operable, opening inward, and with screens on the outside. 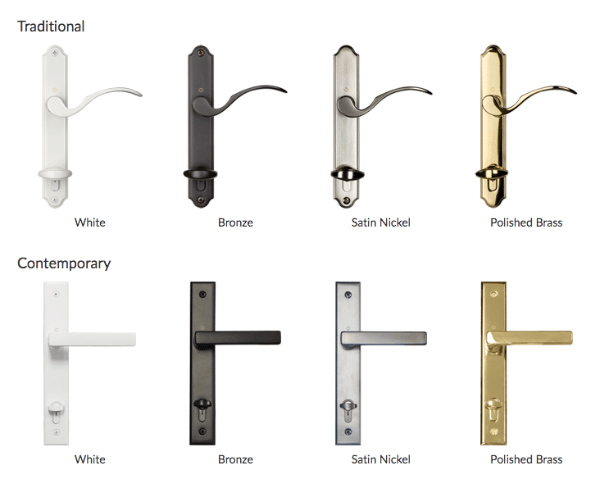 Choose from the Traditional or Contemporary door handle styles and four different finishes including white, bronze, satin nickel or polished brass. 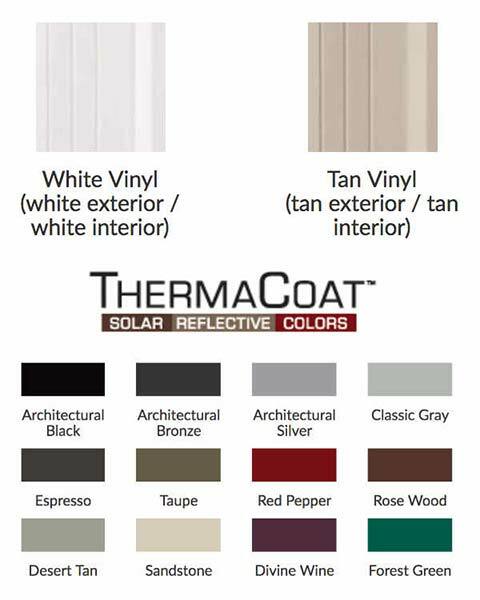 Each one provides its own style of elegance and one is sure to fit your home's own unique look. 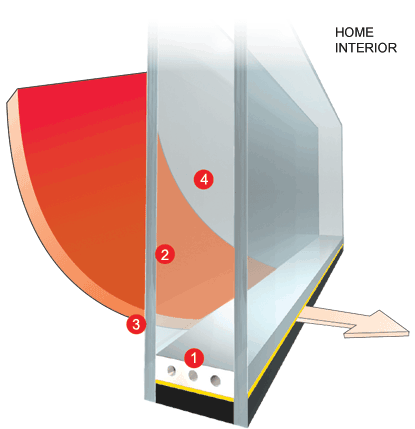 In addition to the clear, Low-E glass (standard), all doors can be ordered with any of the glass patterns as shown. Then, V-Groove glass has a pattern that is precision engraved on the side of the glass that faces the insulating air space. This provides an elegant, decorative effect while leaving your doors smooth and easy to clean. 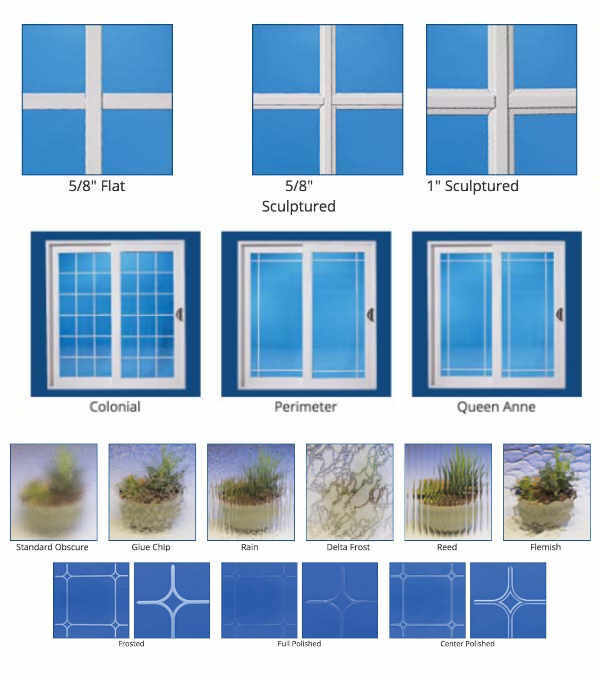 The glass patterns and V-Groove glass are available as shown below. 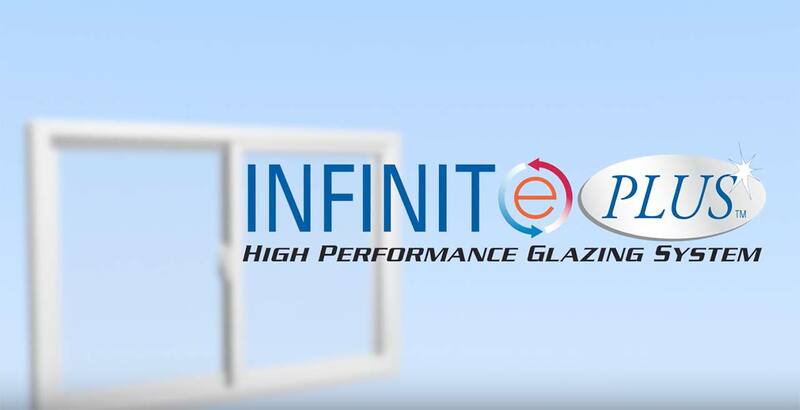 Anlin french doors are built with one of two exclusive Glazing Systems: Infinit-e™ (standard) Plus High Performance Glazing System or QuadraTherm™ (optional) Ultimate Dual Pane Insulation System. 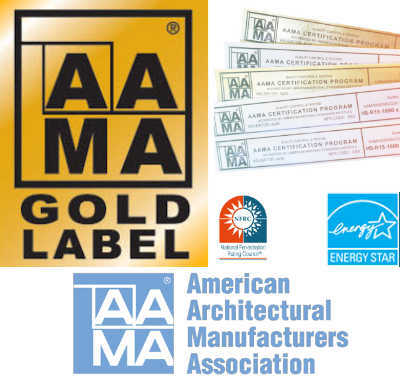 Both lead the industry in thermal performance.